There is far more than alliteration involved in today’s catchy title and its purpose, like all my writing, is to inform, not to scare. I am not Alfred Hitchcock and this blog is not The Twilight Zone. None of the aspirations laid out here at ISC or in my timelier than ever book, Credentialed to Destroy, are fictional. All of our lives would be easier if they were. Education reform is all about invisibly changing human behavior to bring about a new, collectivist, radical vision of what the future of the 21st century might be. I believe knowing the intended mechanisms for tyranny is the first step in escaping their grasp and then removing them altogether. When Jean-Francois Revel wrote his 1983 French classic that translated as How Democracies Perish, he wanted to give a heads-up to prevent the demise. That’s why I write about education as well. In a chapter called “Attack. Always Attack” he gave information on Communist tactics that is also applicable to education reforms and the ensuing outcries over decades. Think of my work as first defusing the practical operation of covertly controlling students’ minds and thus their likely future behavior. Meanwhile I call attention to the organized deceit so we can begin to remove those traces from both our adult minds as well as our poor, manipulated children. Since my last post EdSurge on February 10 admitted that the purpose of that Early STEM Learning paper I cited was to provide categories to guide thinking in an article that also redefined the acronym STEM–“Setting, Tension, Explanation, Metaphor: A Storytelling Approach for Early STEM Learning.” Too bad no one gives bonus points for prescience in education writing. The oligarchs met in Dubai last week and launched Positive Psychology as the global classroom education template, expressly showcasing Mihaly Csiksentmihalyi (whose work gets pulled in via civil rights interpretations on Excellence and Equity) and Martin Seligman of PBIS and the World Happiness Report. Yesterday the US NIH admitted that “Current and future BRAIN Initiative research studies aim to elucidate, and potentially influence, the mechanisms that give rise to consciousness, our innermost thoughts, and our behaviors, thereby prompting novel social and ethical questions.” There’s a reason Congress prefunded years of that intrusive research back In December while Obama remained in office. After all, politicians at all levels want to rule under a new definition of Governance that’s not being discussed enough openly. The just out World Development Report 2017–Governance and the Law-explains that Governance is about delivering on normative goals of Security, Prosperity, and Equity for All achieved through the political process. It has nothing to do with elections and everything to do with the ability to shape internalized personal preferences, values, and beliefs. Sounds like Chapter 7 from Credentialed to Destroy doesn’t it? Here’s the pithy why for that aim: “the ability to shape other people’s beliefs is a means of eliciting an action from another person–an action the person would not otherwise take. The ability to make others act in one actor’s interest or to bring about a specific outcome–the definition of power in this Report–is thus closely related to the notion of ideas as beliefs. Using education reforms labelled as competencies or the Common Core to provide conceptual frameworks, lenses, Enduring Understandings, Cross-Cutting Concepts and Themes, and Disciplinary Core Ideas is a crucial aspect of Controlling Consciousness. There’s a reason for so much coordinated deceit surrounding it and why I seem to be the only person writing about it. Control the prevailing ideas used to direct attention and perception and the interpretation of daily experiences and you have covert control over likely future behavior. UNESCO knows that. So do the World Bank, OECD, the behavioral scientist community, and the public policy think tanks across the purported spectrum. It’s us, the parents and taxpayers, who are unaware of just how crucial standardizing the prevailing ideas is to plans for a fundamental transformation. As Bela Banathy put it from our last post on seeing the student and education (see bolding from me) as a system: “Our main tool in working with human systems is subjectivity: reflection on the sources of knowledge, social practice, community and interest in and commitment to ideas, especially the moral idea, affectivity, and faith.” So how do I know this aim is across the political spectrum? I learn a great deal from reading old books and Professor Amitai Etzioni, Mr Communitarianism with his own tag, is an admitted Man of the Left. Professor Robert George, founder of American Principles Project, Bradley Foundation Board member (thus tied to PEPG), recent AEI award winner, and too many other connections to name, is a designated representative of what purports to be Conservatism. I call it the Right Pincer for a reason. That aim doesn’t sound particularly conservative to me and is a long time aim of all progressives–cultural evolution. 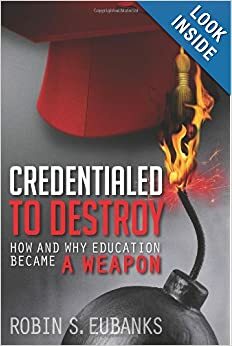 If that is also the aim of so-called conservative and libertarian think tanks it would explain all the deceit, concern over what my book laid out with extensive documentation, and my current observations of where School Choice actually leads. For some reason though, I was too busy initially to read anything other than that particular chapter. After I read that World Development Report though and its laid out aspirations to use the law and the mere global existence of less advantaged people and poverty to force what Marx called his Human Development Society, I went back to reread the rest of the book. Turns out Etzioni laid out the template that the World Bank and others intend to use to alter what a student internalizes so that it alters their preferences. So the SDG agenda pushed globally by institutions like the UN, OECD, and the World Bank can only change those preferences, as they have declared they aim to do, by education that is about getting at what a student internalizes as their values, attitudes, and guiding beliefs. Precisely what I warned about in my book that the False Narrative pretends is about some database of intrusive personal information. The need for Deceit is caused by others wishing to also use this tool of subjectivity and internalization, while being covert about it as well. Once accurately perceived, this aim does not just seem tyrannical. It is unabashedly so. Etzioni sees it as a matter of the community having the right to establish the values that all citizens are to internalize. The World Bank does too since that is part of what Governance is to mean. I have pointed out already that this is the essence of what ED Choice laid out as the new definition of Accountability that is pertinent then to School Choice advocacy. Etzioni, with his long-time plans for fundamental social and economic transformations is OK with ‘the community’ controlling what must be internalized. Are we? Is this really the kind of education reforms that anyone should blindly accept on the basis of catchy phrases or an appeal citing some famous person from history? This is the start of a Trilogy where I cover precisely how the Rapprochement of Cultures, Human Rights Education, and Education for Democratic Citizenship as envisioned by the UN entities, make it all the way to your local school, public or private, and your child’s classroom, without anyone recognizing what is really going on. In the materials that back up this and the remainder of the Trilogy there is not a single mention of the International Decade of the Rapprochement of Cultures. As we will see though, RoC fits invisibly with everything being required. In fact, so does fedEd’s recent insistence that a biologically intact transgender boy must have unfettered access to a high school girl’s locker room. It also is a currently undisclosed initiative tied to the likely 2016 Democratic nominee for President financed while she was Secretary of State. The phrase “Bottom Up Peace Built From Below” is straight from the RoC materials and the remainder of the title fits with how to do it. To show just how long this has been sought in a way that feeds into the timeline in my book Credentialed to Destroy, let’s go back to the Democratic Education book then Princeton prof Amy Gutmann published in 1986. Democratic Education is all about ALL schools helping to “develop the cooperative moral sentiments–empathy, trust, benevolence, and fairness.” She goes on to cite the same John Dewey I cover in Chapter 2 of my book because of his ideal of a school “whose aim is ‘not the economic value of its products, but the development of social power and insight’ pointed to such a morality” in each student. The presence of such values, cooperative sentiments, beliefs about others, etc are the very learner ‘outcomes’ to now be assessed by schools. How do I know for sure? Last week as part of that Youth Summit and in preparation for the UNESCO General Conference that opened this week in Paris, UNESCO and friends published a rather graphic report Curriculum Development and Review for Democratic Citizenship and Human Rights Education to lay out plans to force EDC/HRE into every subject in every classroom all over the world. In the bibliography at the end is a cite to a 2014 report called “Teaching Respect for All Implementation Guide” that caught my eye since I had just written the Rapprochement of Cultures post. Found it with UNESCO profusely thanking the US Department of State for “their generous financial contribution and continuous support in the development of the Teaching Respect for All project” that launched in January 2012. Maybe promoting HRE was more important than Benghazi security, but the always italicized Teaching Respect for All was financed and launched by Hillary or her subordinates. Even if it takes false narratives or the kind of manipulative mental framing put out last week with regard to STEM. http://www.frameworksinstitute.org/k12-stem-learning.html If you are like me and rather drenched in facts and logic, we can notice that what is an accepted identity and beliefs is not for everyone, especially high school girls unable to mentally cloak a boy’s visible genitalia in the assurance that only social constructions matter. If anyone hopes the reference to ‘critical thinking’ leaves some subject matter intact, the very use of the phrase ‘critical race theory’ and ‘pedagogy’ makes it quite clear how intolerant tolerance intends to be. We are all going to need training in conflict resolution if we have to listen to young people deliberately educated to feel both slighted and empowered to transform an existing world they neither understand accurately or appreciate. Since only quoting the Implementation Guide’s key approaches can reveal the true horror of what is intended in the name of school transformation and student success to be appreciated, here’s another: “A fundamental commitment to create an emancipatory culture of schooling that empowers all pupils and students. This includes practices that allow pupils and teachers to work together to acquire, analyse and produce social and self-knowledge.” And we wonder why we keep being told the change to a competency-based emphasis is needed to be ‘internationally competitive’. That’s a framing that works and explaining the true purpose would likely send us all into a frenzy. Mary Ann is one of Amitai Etzioni’s favorite law profs for obvious reasons. Remember how my Chapter 7 pointed out the real Common Core implementation was all about changing values, attitudes, and beliefs? Remember how that is what learning now means as well? “Efforts to promote EDC/HRE involve the development of dispositions, extending beyond knowledge and skills to include behaviours and actions. research has shown that such dispositions are fostered through participatory and learner-centred teaching and learning processes…” that would be the real reason lectures and textbooks have to go. Somehow I am sure the now ubiquitous explanation of the antiquated ‘factory-model’ of school is just another group-tested framing meme to alter prevailing behavior without opposition. See you later when we take on Part 2 on how this is all coming in now and invisibly. “inner structures, to deep-seated changes in states of mind, points of view, custom and routine, personality and consciousness…this is the level where the Six-Sided Prison can be found. This third level of history isn’t impossible to change; but it is the hardest to change. It is…a ‘transformation of culture so large that it isn’t an event any more.’ No wonder most political activists have chosen to ignore it! [but not education, sociology, psych, or poli sci profs]. And yet–and yet–if it’s true that governments and economic systems determine the nature of events, as the Marxists say, then it’s also true that the third level of history determines the nature of the governments and economic systems, and the context, the atmosphere, the quality of events. [Remember the omnipresent PBIS and Positive School Climate with only the rationales varying]. There’s a rather constant drumbeat for this now apart from all the social and emotional learning and restorative justice practices in schools and classrooms we have looked at. This is bigger and from every direction as adults and all institutions get targeted. Last Thursday I was at the “Wisdom, Moderation and Opportunity” put on by an Atlas Network affiliate, the Georgia Public Policy Foundation, with speeches with ties to other Network members. The Luncheon Keynote Speaker, Arthur Brooks, president of AEI, insisted that to be a Conservative required having the Heart of a Servant. A true, little c conservative, would probably know from history that telling people what must motivate them is authoritarian, not conservative. Those systems thinkers we met in the September 28 Menticide post pushing how to force Creative Altruism into future human personalities would have loved that speech. “Development, particularly in the rich economies, must assume a new form: qualitative, collective, and cultural–emphasizing sustainable human development in harmony with Marx’s original view of socialism. As Lewis Mumford argued, a stationary state promoting ecological ends, requires for its fulfillment the egalitarian conditions of ‘basic communism,’ with production determined ‘according to need, not according to ability or productive contribution.’ [Footnote is to Marx and his Gotha Programme book]. Foster made it clear that the emphasis, per Che, would not be economic development but on the “need to develop socialist humanity.” That’s the part the UN leaves out when they tout Human Development as a goal. It means “a revolutionizing practice that revolutionizes human beings themselves.” When the Georgia DoED speaker stated that PBIS and Positive School Climate were not going away, he meant that the entire emphasis of school, starting in preschool, has changed. Social and emotional learning are not add-ons. The mandated shift is this revolutionizing process that targets ‘inner development,’ internalized images of how the world works, and appropriate future goals. The obnoxious audience response to a heartfelt attempt to bring pertinent facts to the sales pitch of School Choice was a reminder to me that the current head of the cited ESA designer–the Friedman Foundation, Robert Enlow, is just one of a myriad of figures who keep popping up with ties to Seattle Pacific University. Others were Richard J Spady and Richard Kirby. (Civilization Building Leadership and the UNESCO-tied ed vision Nurturing Civilization Builders) That latter book cited a Tatyana Tsyrlina who is now Tsyrlina-Spady and an adjunct at SPU. In 2009 she started the Russian-American Education Forum, an online journal that first came up when I was looking at Arizona charter schools. It can be read in English or Russian, which means odd words come up like Personalizedategic. I am quoting in particular from the November 1, 2010 Newsletter http://www.rus-ameeduforum.com/ but any of the newsletters describe a supposedly Russian vision for education that is being implemented in US schools. It explains the reasons for the task emphasis that figures so prominently in the actual Common Core implementation (Chapter 7 of my book) and also the real rationale behind “student-centered learning.” As students master each task, it “has some personal meaning for each of them.” Remember inner development? Well, the Russians do because they give us the reason for Rigor and assessments where there is no single correct answer. This Personality-Development model “helps students accumulate necessary skills and experience related to self-realization, self-organization, self-regulation, self-control, and self-management.” It sounds just like what the CCSSO is calling Competency-Based education in the US and what UNESCO calls the same thing globally in English-speaking countries. It also “forms and develops personal values and has a strong effect on both intellect and motivation.” Sounds like everything our transformational social engineers need, so what’s Personalizedategic? That’s the final model that relates to the real world and remembers that “one of the main objectives of education is to prepare students for future adult life.” Sound familiar? It also explains all the various Redesign of High School initiatives. How about “the teaching process should include a system of interconnected, complementary situations that stimulate students’ personal development and challenge them to design key life strategies.” Now remember, this is translated from Russian into English in what could hardly be a better vision for mental disarmament of a once, and maybe future, foe. Big shifts in the nature of education. Revolutionary shifts. Every one of these shifts targeting inner development gets hidden by terms like College and Career Ready, Student Growth, Every Child Achieves, and Success for All. Now look at everything the UN is pushing and the events in Iran and Syria and think about what Putin knows about the true nature of the Cold War and how to invisibly overwhelm a population without firing a shot. No wonder he is so cocky and chose to come to New York City in September for the final rollout of what has been building up for so long. ‘Broken’ because they are growing up in “unsafe environments and unstable homes.” After all “people and their environment are NOT separate things,” according to Dr McGiboney. “Behavior is a function of the person and their environment,” and to reiterate the point, McGiboney cited notorious Frankfurt School social psychologist Kurt Lewin [tag] as having created a formula for change. To make things even more interesting, False Attribution Theory then came in (by name) as Dr McGiboney complained that too many administrators looked to “understand the behavior of others by attributing causation to feelings, beliefs, intentions, and personality” instead of the “situational contexts” kids have grown up under. “Attribution of cause” affects the “doled out consequences”. So if someone who grew up in bad circumstances misbehaves at school, their poor behavior gets excused as due to “environment.” Children who grew up in better circumstances and behave well in the classroom nevertheless need PBIS in every classroom and a Positive School Climate in every school so their values, feelings, beliefs, intentions, personality, attitudes, etc. can all be targeted and rearranged by the school. I guess if a student is not Incarcerated by their Mind when they come to school, they certainly will be by the end of a preschool and K-12 grounded in these psychological and mental health practices. Dr McGiboney actually sold this as “school climate matters to student outcomes.” Well, of course it does since SEL is now a crucial component of how ‘learning,’ Growth, and ‘student outcomes’ are measured. The audience would not know that though and simply listening to the presentation they would believe that PBIS and Positive School Climate were nifty Georgia ideas and not federal mandates and requirements under Georgia’s NCLB federal waiver. Not to pick on Dr McGiboney, but I was down at the State DoED the day after they got that federal waiver. State officials that day did not seem too happy I knew that the School Climate Center guidelines required schools to have a social justice emphasis. What can I say? I read a lot. That is also how I know that all the hype about how PBIS and Positive School Climates will help reading achievement contradicts Georgia’s NCLB waiver. As I noted in my book, it explicitly made sure that an inability to read would no longer be a basis for holding a student back from promotion. That’s one way to increase graduation rates, huh? Dr McGiboney closed with a truly poignant story about a potential suicide incident at a high school that was physically in terrible shape–dirty, broken windows–, in other words, a terrible physical environment. He related that the girl asked him if “he believed in unicorns” and he said yes, because he believed she needed to hear that. Years later, she reached out to him and talked about how she had pulled it together and lived a successful adult life. Her turnaround and the importance of environment then once again became the pitch for PBIS and Positive School Climate. PBIS, Restorative Justice, Positive School Climate, and social and emotional learning generally are all targeting the personality and values. Tragic story and lots of false narratives used to sell something as a good idea that is actually another way of pushing the UNESCO vision we met in the last post without admitting that. Few in the audience understood that these measures are not in addition to an academic focus. They are actually a substitution for it as the new purpose of school and education. http://www.ncbi.nlm.nih.gov/pmc/articles/PMC3744335/pdf/nihms-493001.pdf , supported by multiple federal agencies and grants, confesses the intention to blur the distinction between student learning and mental health outcomes. All are deemed part of student success. This is Guttmann’s vision of conscious social reproduction and its ties to education. Every child must be educated “to be capable of participating in collectively shaping their society.” She does believe in the ability of the majority to bind everyone as long as each person gets to participate in policy deliberations. Public policy directs society and the economy. People have a human right to have their needs met. In Dr. McGiboney’s vision where environment is all, there should then be no more ‘disruptive behaviors.’ Back to Gutmann, we have all schools, public and private, with an obligation to create “a set of secular beliefs, habits, and ways of thinking that support democratic deliberation …compatible with a wide variety of religious commitments.” Parents have no right to object either. I am closing this post with the disclaimer I do not know who at that Summit was aware of the broader agenda I have covered in this post. Because the vision though fits precisely with where the UN has said we are all going by 2030, my guess is a few are aware this is all a sales pitch backward mapping from desired transformations to get to a new vision of the future. It is also Atlanta, home of the new Civil and Human Rights museum, so it is probably not a coincidence Gutmann’s vision ties so tightly to what Martin Luther King called the “Beloved Community” [tag] vision for the future. Pipelines to Prison and School Discipline Problems in 2015 have been worsened by these previous educational reforms that had no interest in teaching reading or math properly. Now tragic bad individual behaviors are selling a vision where school and education are not really about knowledge in the traditional sense at all. I simply want all of us to be able to recognize a Dog Biscuit, whatever it is being called, before we take that first bite.